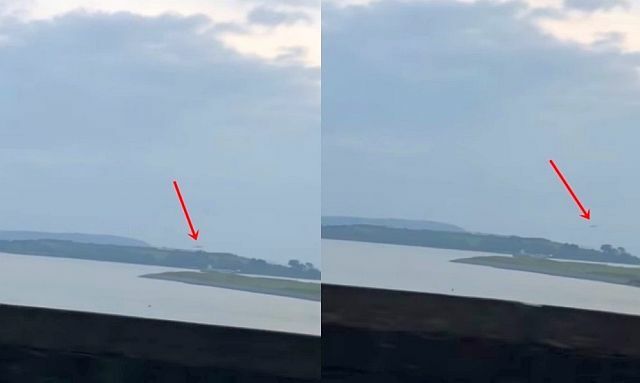 On November 26, 2018 the witness has filmed a cigar-shaped UFO at the moment he was driving near Spike Island, Cork in Ireland. This sighting of an unidentified flying object comes several weeks after several pilots of commercial aircraft had a close encounter with a bright UFO off the south-west coast of Ireland. The video shows the cigar-shaped UFO that seemingly hanging in the sky over the Island before it suddenly speeds away at a tremendous speed.